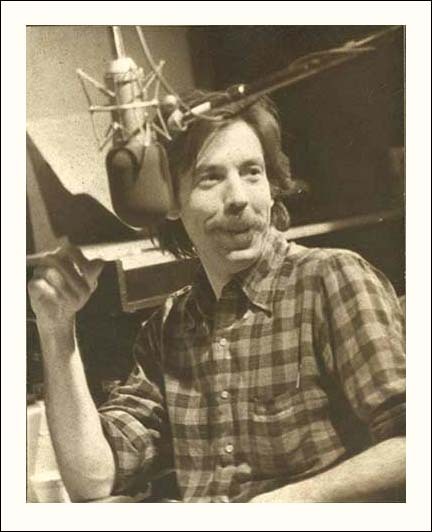 Jonathan Gilbert aka "Weasel" was the late late night DJ at the station and a familiar and unique voice of WHFS. He is known for his encyclopedic knowlege of all things music and on-air interviews with many of the most famous artists of that generation. Josh Brooks (right) came to Washington DC and brought his Spiritus Cheese radio show to WHFS. 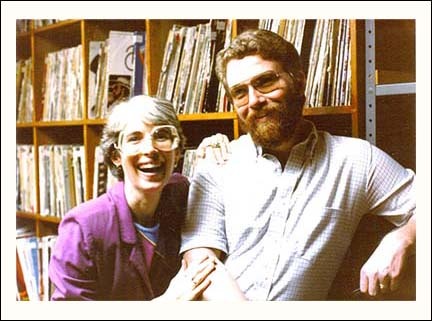 Their show was the root of everything that began the station's evolution to becoming the area's most popular progressive free-form music station. 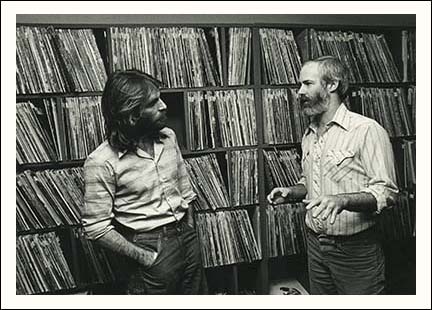 Josh is pictured in the studio with Dennis Wilson of the Beach Boys. 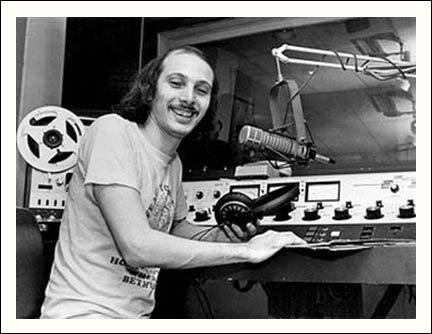 DJ Cerphe Colwell (left) became a popular voice of the station as it evolved in the 70's. Many rare and wonderful interviews were logged in this studio, Cerphe has conversed with some of the giants in the music scene when they came through town--as he still does to this day with his show on Music Planet Radio online. Here Cerphe talks with Robert Palmer. 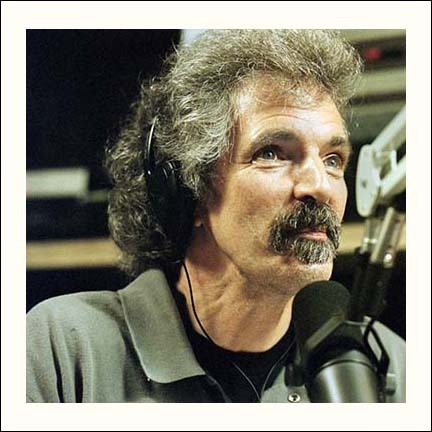 Popular DJ Damian Einstein developed legions of fans, his blues show brought many talented artists into the limelight and widened the horizons of those who listened to his daily shows and interviews. His shows were always a journey into unique genres of new music. Damian is a well-loved legend in the DC area to this day. DJ John Hall was an early member of the HFS broadcast team, offering listeners a wide range of eclectic music & styles on his show "Hall's Bar and Grill." Participating on and off through the years, John brought a special hip style to listeners who became fans of his show. 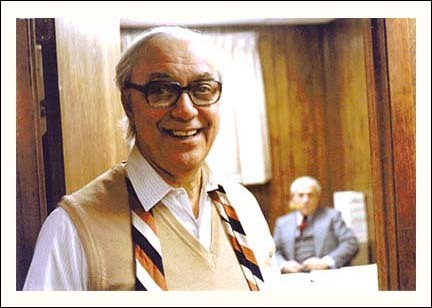 The man, the legend, Jake Einstein in his office at Triangle Towers. He managed the station like a ringmaster, charming and disarming. His forward looking vision ushered in the transition from a stodgy classical "High Fidelity Stereo" station to a successful rock and roll progressive format. And his big personality was a integral part of the charm. Jake became a big fan of the music he championed. Diane Divola was the morning DJ at the station for a long stretch, from 1976-84. She was a tireless advocate for many underappreciated artists, and adding another female voice to the HFS family. 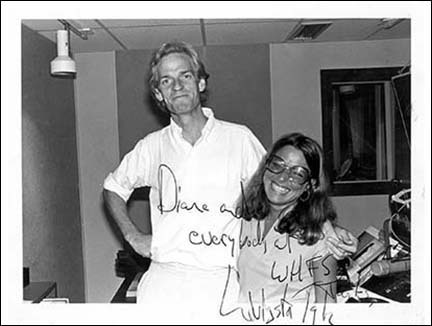 Here she is enjoying a moment with Livingston Taylor (brother of James). 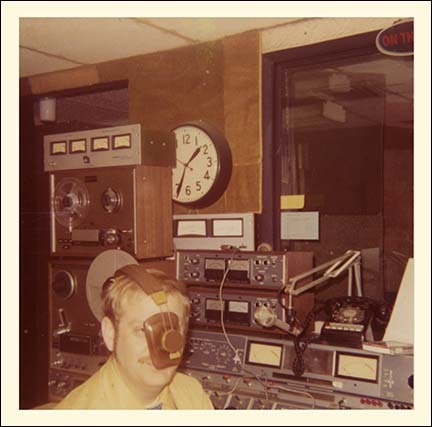 DJ Bob "Here" Showacre came to the station in the late 70's and continued on the air thru the 1980's. 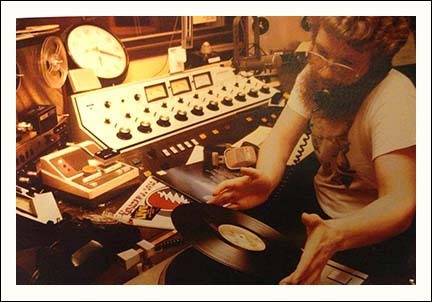 Here he is in the studio spinning vinyl discs and taking call-in requests that were a big part of the shows. 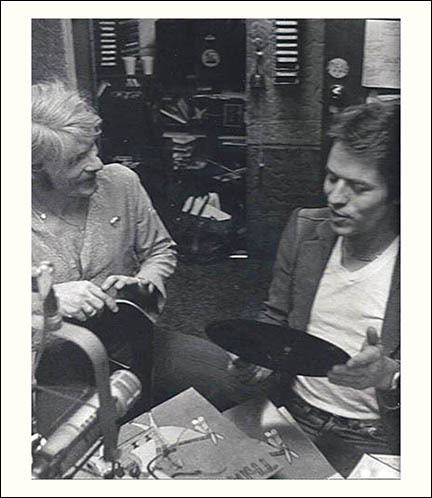 DJ "Adele" Abrams came to the station in the mid-70's after her initial stint with WMUC, with an early morning show, adding a new female voice to the DJ roster. She happily remembers her job there as an very young "life goal", she continued on-air a various time slots for many years. Pictured with Weasel and a remote promotion. DJ Thomas Grooms (Thom) (right) began as an engineer and transitioned to an on-air personality widening the appeal of the station with a his unique style. He has continued on-air at many stations in the area through the years and works to promote artists. 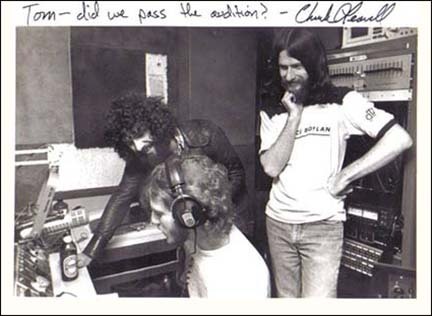 Here he is in the studio with Chuck Leavell and Randall Bramlett, circa 1977-1978. Sales Manager Patty Ebbert was a big part of the day to day operations running creative and successful promotions for the fans and bringing in the sponsors who kept the dream alive. Always focused on increasing the popularity of the station, she was a fixture of the HFS team throughout the years and part of the success. 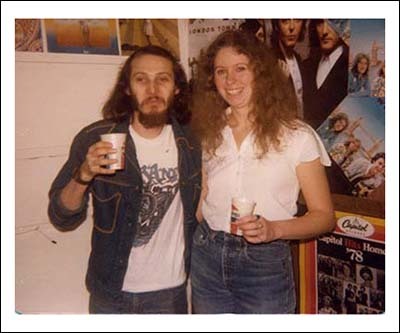 Patty is pictured with DJ Bob Showacre. Long time HFS production engineer, manager and general jack of many trades Alvin Jeweler came along from the old classical format origins, and kept the station on track when they first embarked on the new progressive format. Pictured here in 1966 at the Del Ray Avenue Studios when it was still "High Fidelity Stereo".